The following applies to all visitors to Bristol Aquarium, whether they have purchased/ are purchasing tickets online or if they purchase/ have purchased tickets on arrival to the Aquarium. Visitors are reminded that for operational, technical, safety or any other reason any advertised exhibit, attraction or any of the facilities on site may be closed, removed, altered or otherwise unavailable at any time. Bristol Aquarium reserves the right to alter or cancel any film time, show time or feeding time or any other presentation without notice. Bristol Aquarium reserves the right to alter or cancel any show time or feeding time or any other presentation without notice. Tickets available include Standard, Junior (3-12 years), Concession (Senior Citizens aged 65+ and Students), Family Ticket (2 Standard + 2 Junior). Children under 3 years of age are admitted free to Bristol Aquarium and therefore do not require an entry ticket. Tickets are non-refundable and non-transferable and accordingly may not be sold or passed to any third party. Tickets are valid for the day they have been purchased (online tickets valid for up to 6 months from date of purchase and then valid for the day that they have been redeemed). Online tickets are not valid with any other offer. Bristol Aquarium reserves the right to alter any offers and promotions without notice. No promotions and special offers are valid on Bank Holidays. Bristol Aquarium reserves the right to alter admission prices and opening times without notice. Students must produce a valid student ID card on arrival to the Aquarium to be admitted with the discounted concession rate. For disabled visitors requiring a carer; one carer can be admitted free of charge when accompanying one disabled visitor, any additional carers required can pay the discounted concession rate. Proof is required including: Disability Living Allowance or Attendee Allowance aware letter (dated within the last 6 months) showing that you receive the higher rate mobility component, Personal Independent Payment letter (dated within the last 6 months) showing that you receive the enhanced mobility component, current and valid Blue Badge. 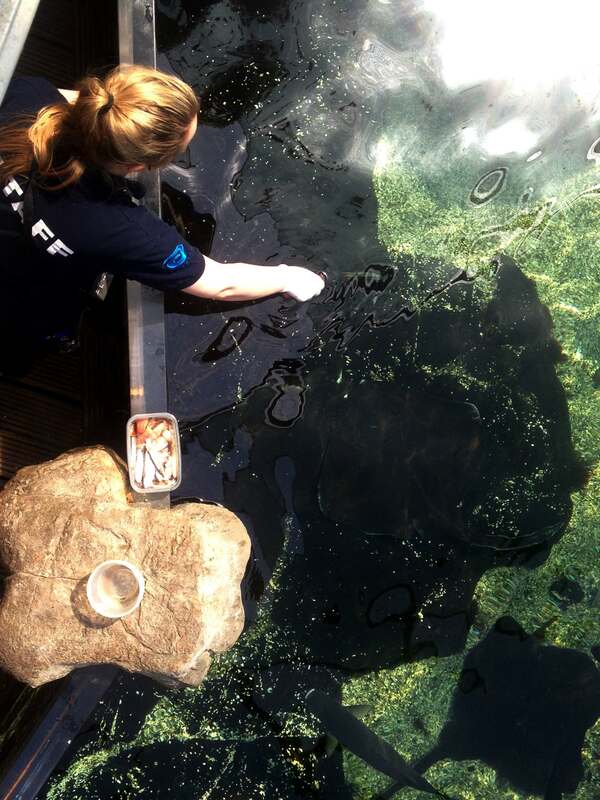 Bristol Aquarium reserves the right to refuse admission, or to remove any visitor whose behaviour is deemed inappropriate by Bristol Aquarium staff. No refund will be given. When attraction capacity is reached on busier days Bristol Aquarium reserves the right to control any queue or the flow of visitors into the attraction. Visitors are advised that in these circumstances this can result in delays at entry. Some optional attractions at Bristol Aquarium are not included in the cost of an Entry Ticket and require an additional charge. Additionally some attractions may have a height restriction or health and safety restriction. Visitors should be aware that there may be schools and groups in the attraction during a visit. Please note that our busiest period for school groups is between June and July from 11am to 2pm. Should you wish to leave and then re-enter Bristol Aquarium on the day of your visit simply keep hold of your day ticket. Visitors must be aware that Bristol Aquarium regularly welcomes large groups or school groups, who may be present during your visit. The following applies to all visitors to Bristol Aquarium who have purchased/are purchasing tickets online. A booking charge is applied to all E-Ticket purchases, this is per transaction. E-Tickets must be purchased at least one hour in advance of your visit. E-Tickets available include Standard (13+ years), Junior (3-12 years), Concession (Senior Citizens aged 65+/ Students) and a Family Ticket (2 Standards + 2 Juniors). We also offer a combination ticket for visitor + carer, this admits a carer in with any visitor who requires 1:1 care. Proof of age/ entitlement is required on arrival to the Aquarium to obtain admission. 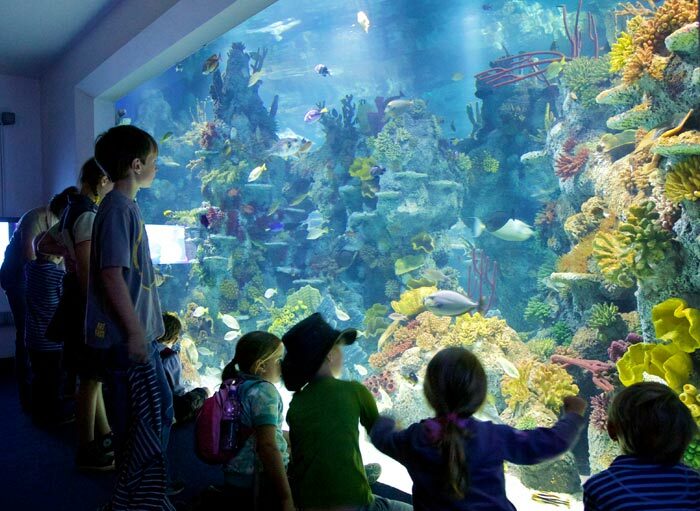 Children under 3 years of age are admitted free to Bristol Aquarium and therefore do not require an E-Ticket. Discount vouchers, promotional coupons or other offers cannot be used in conjunction with E-Tickets. Please note: this does not apply to online discount tickets purchased from the Bristol Aquarium website. A valid E-Ticket must be produced upon arrival prior to entering Bristol Aquarium, either by smart phone or print out. E-tickets are valid for one single use during a six month period from the date of purchase except where online discount tickets/ online promotional offers state otherwise. E-tickets are no longer valid if unused during the six month validity period. No refund will be given on expired E-Tickets. The period of validity cannot be extended. Proof of entitlement for certain E-Ticket types may be required for entry, please see ‘ticket types’ listed above for requirements. Some optional attractions at Bristol Aquarium are not included in the cost of an E-Ticket and require an additional charge. When attraction capacity is reached on busier days Bristol Aquarium reserves the right to control any queue or the flow of visitors into the attraction. E-Ticket Visitors are advised that in these circumstances this can result in delays at entry. Bristol Aquarium Annual Passes available include Standard (13+ years), Junior (3-12 years), Concession (Senior Citizens and Students), Family Ticket (2 Standards + 2 Juniors). All online purchases are subject to a £1.50 booking administration fee. Admission to Bristol Aquarium as an Annual Pass Member is through production of a valid in-date card. Please therefore bring your Annual Pass Card with you each time you visit. Non-production of this pass will not enable access to Bristol Aquarium without further proof of purchase and identification. Any lost annual pass card replacements can be replaced at a standard fee of £5.00 per card. Please be aware that standard terms and conditions of entry apply to Bristol Aquarium Annual Pass visitors. Bristol Aquarium reserves the right to alter any offers and promotions without notice. No promotions and special offers are valid at the attraction on Bank Holidays. Children under 3 years old are admitted free to Bristol Aquarium and therefore do not require an entry ticket. Bristol Aquarium Annual Passes are non-refundable and non-transferable and accordingly may not be sold or passed to any third party for use. Proof of identification may be required to authorise annual pass use on arrival. 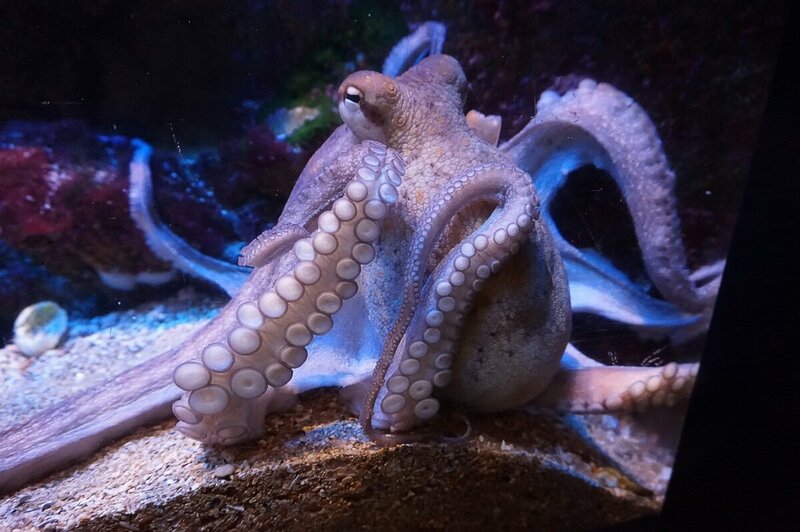 Bristol Aquarium Annual Passes are valid for one year from the date of issue providing unlimited visits within that period in-line with Bristol Aquarium’s advertised opening times and restrictions. Some optional attractions at Bristol Aquarium are not included in the cost of an Entry Ticket and require an additional charge. Additionally some attractions have a height restriction or health and safety restriction. Annual Pass Visitors are reminded that for operational, technical, safety or any other reason any advertised exhibit, attraction or any of the facilities on site may be closed, removed, altered or otherwise unavailable at any time. 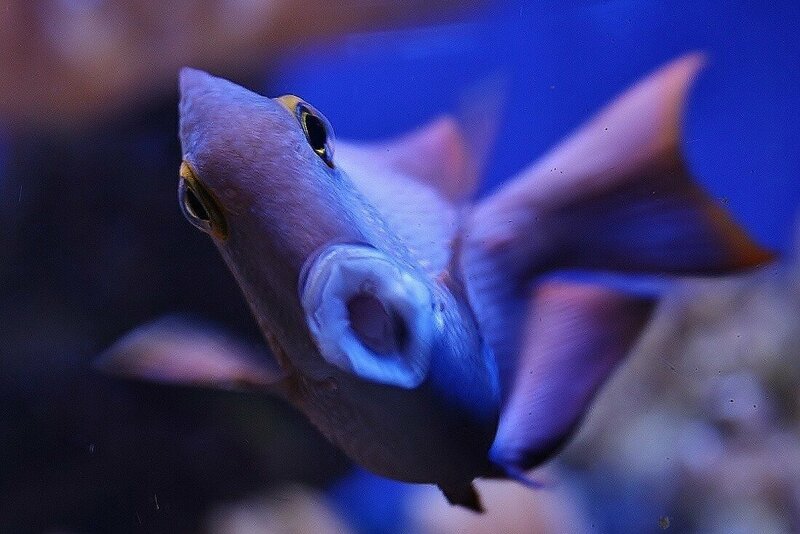 Bristol Aquarium reserves the right to alter or cancel any show time of feeding time or any other presentation without notice. Bristol Aquarium reserves the right to refuse admission, or to remove any visitor including Annual Pass visitors whose behaviour is deemed inappropriate by Bristol Aquarium staff. No refund will be given. When attraction capacity is reached on busier days Bristol Aquarium reserves the right to control any queue or the flow of visitors including Annual Pass visitors into the attraction. Annual Pass Visitors are advised that in these circumstances this can result in delays at entry.